From the rear side cover:Shortly after D-Day, Bob Boscawen, fresh from Eton, Cambridge and Sandhurst, found himself in Normandy with his Coldstream Guards tank troop. During the months that followed, until his evacuation as a casualty in the closing stages of the War, he kept a diary, that became a full record of events laced with perceptive comments on his fellow men and his own emotions. During this period, the Guards Armoured Division was in almost constant action and this account describes a number of the fiercest encounters, such as Sourdeval and Cagny. Until a chance remark by a former House of Commons colleague prompted the Publishers to approach him, the Author had not the slightest intention of giving his diary a public airing. 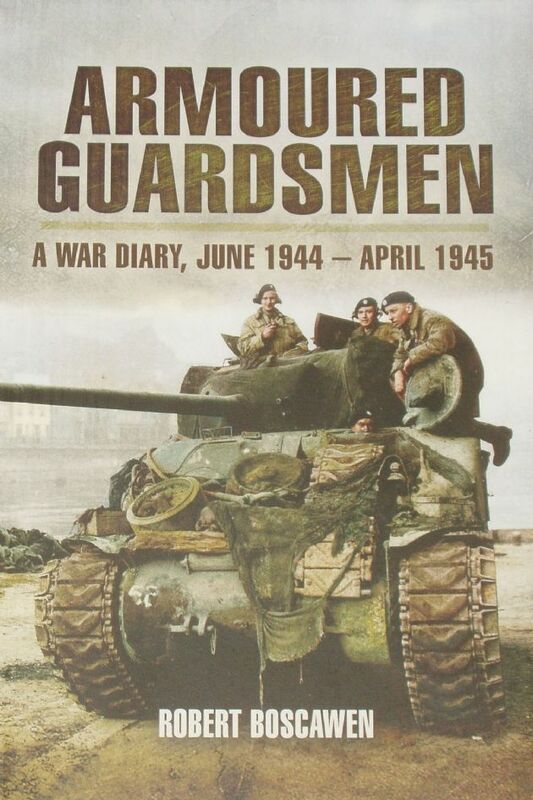 Readers will be grateful that he has relented for Armoured Guardsmen is a superbly vivid and unselfconscious account of soldiering in wartime. It captures the spirit of comradeship, the joy of success, the bitterness of loss and the dangerous thrill of action.